“Which homes for sale near Mint Canyon Community Elementary School, Canyon Country CA would mean my children could attend this school?” Please scroll down for school information and Mint Canyon Community Elementary School website. Other schools and homes for sale. This is one of the most important of many questions parents ask when beginning their Santa Clarita real estate search for homes for sale near Mint Canyon Community Elementary School in Canyon Country CA. It is both disappointing, and a waste of precious time if you find homes for sale near Mint Canyon Community Elementary School you love, and believe that your child can attend, only to find out it is not within the schools attendance boundaries. Look without wasting your time. 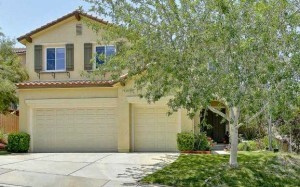 See all homes for sale near Mint Canyon Community Elementary School. Page is constantly updated and includes homes in areas of Canyon Country CA within the city of Santa Clarita CA. Homes to be found for sale near Mint Canyon Community Elementary School include condos, town homes, and single family tract homes many with spectacular views over the Santa Clarita Valley. The Mint Canyon School community feels a personal pride and connection to our school family and provides a safe, nurturing, and positive learning environment for all students. Our vision establishes an academic atmosphere which respects each other’s unique qualities and provides all students with an equal opportunity to achieve their full potential through quality standards based instruction and curriculum as well as a balanced education which focuses on the academic, emotional, and physical well being of each child. The entire Mint Canyon School community takes pride in successfully preparing our students to function as responsible members in our ever changing and culturally diverse society. To view your selection of Santa Clarita homes for sale near Mint Canyon Community Elementary School Canyon Country CA today, contact Pia Soper, your local Santa Clarita real estate agent in Canyon Country CA, and Santa Clarita CA today!